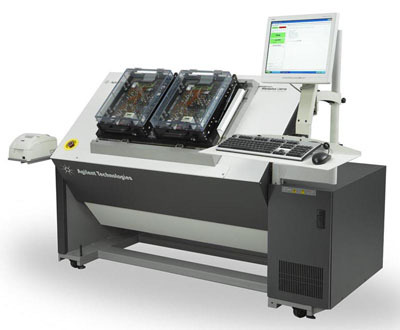 The E9903D i307x has the largest node count coverage of the i3070 family of combinational testers designed to provide in-circuit test capability coupled with additional capabilities to ensure high test coverage of today's complex electronic assemblies. All Medalist i3070 test systems are able to accept both Mux pin cards as well as UnMux pin cards. This is to provide you more flexibility in the use of this system.